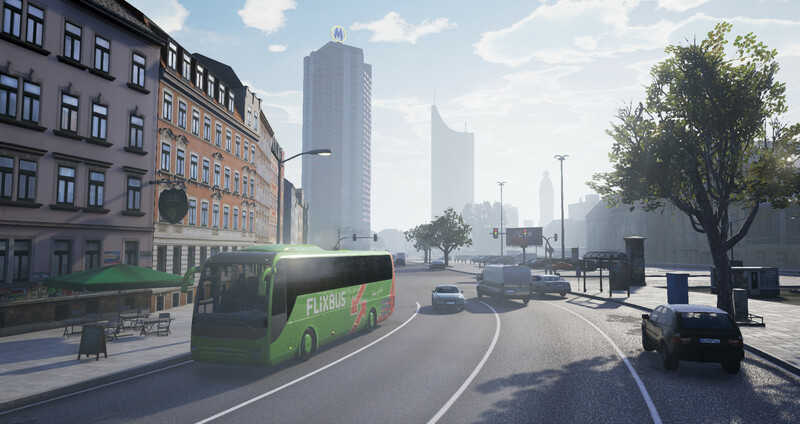 Fernbus Simulator — the first simulator that allows you to join the popular long-distance transportation. 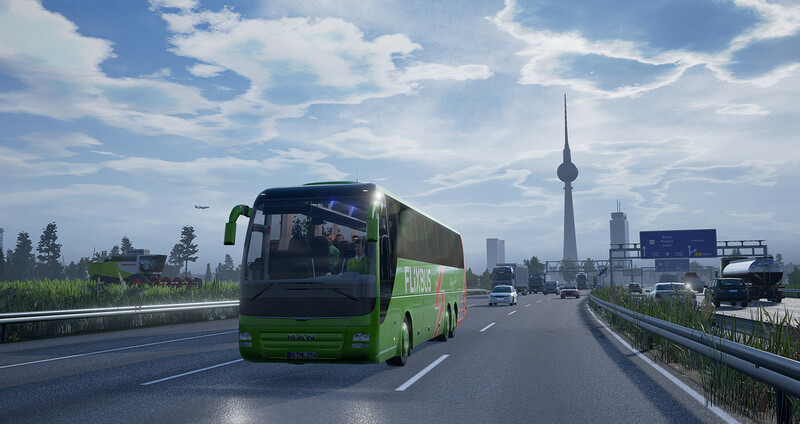 Thanks to cooperation with FlixBus, Fernbus Coach simulator transmits the world of passenger traffic on German autobahns and small roads in the smallest detail. Driving the modern tourist bus MAN Lion’s Coach, you can immerse yourself in the routine work of bus drivers. Route routes through a complex network of highways and small roads to reach the bus stations in more than 40 highly-detailed cities, constantly maintaining contact with the main office. Carefully follow the traffic while traveling on German highways, maintain the safety of your passengers day and night, at any time of the year. 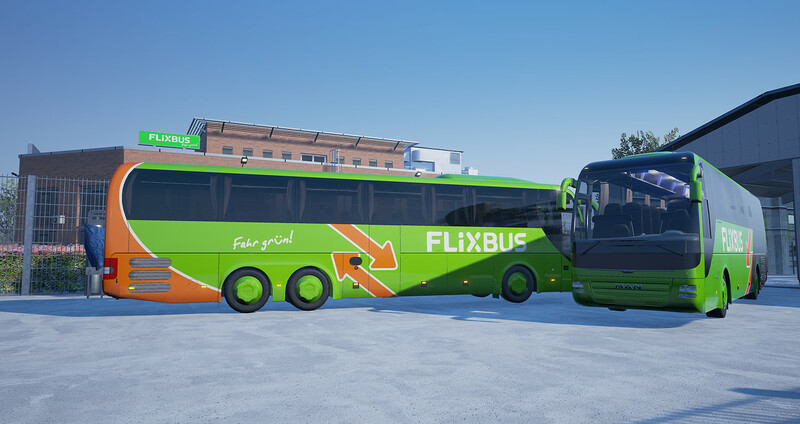 The game has about 20 000 km of the FlixBus network in Germany and more than 40 cities. Time in the game takes place on a scale of 1:10, which will allow you to choose any route. As in life, there are passengers on the bus station with passengers already bought tickets, as well as passengers who must purchase tickets from you. Both MAN buses are equipped in accordance with their real prototypes, including all their functionality. Interior and exterior are worked out to the smallest detail. Models of buses have been tested and optimized by real drivers and instructors. Realisticities will be added by original messages for passengers, and the need for strict timetables, road works, traffic jams and crashes — will allow you to test your driving skills for strength.